The RCMP believe an alleged mortgage fraud involving real-estate projects across the country runs so deep that it could hurt Canadian financial and real estate markets. Inflated property values and the promotion of non-qualifying investments as being RRSP-eligible are some of the key allegations made by the RCMP in a search warrant application it filed to authorize an April raid on six Toronto-area offices. These new details come from a 131-page affidavit used to obtain a search warrant filed by the RCMP in connection with its investigation into alleged syndicated mortgage fraud. 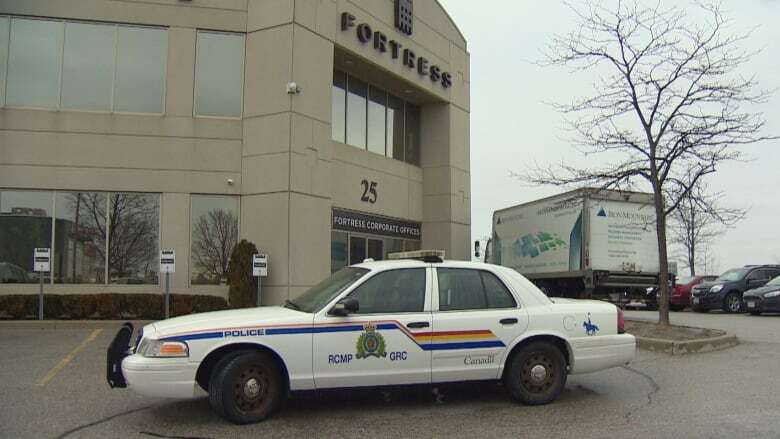 Fortress Real Developments, its lead mortgage broker Building and Development Mortgages Canada (BDMC), and three other affiliated brokerages, including FDS Broker Services, were searched by police. Syndicated mortgages are investments in which a developer finds more than one private lender to invest money in a property instead of going through a bank. CBC News obtained a heavily redacted version of the document after Superior Court Justice Robert Goldstein ordered it unsealed on Monday. The document does not say which individuals are believed to have committed fraud and no charges have been laid. The allegations are unproven in court. "It's scary," said Carole Skelhorne after she heard about the allegations in the search warrant document. "Now to think that there is the possibility of fraud. Because really honestly, in my mind, I just thought it was a project that had gone wrong." 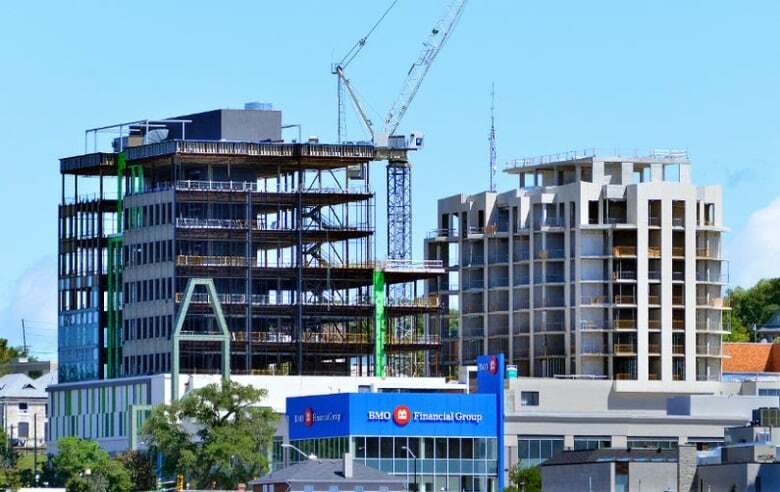 She invested just over $100,000 of her pension payout from a previous job into a syndicate mortgage in Winnipeg's SkyCity condo project in 2015. She was receiving regular interest payments up until January 2017. "It was the worst decision I made in my life. There is no doubt about it right now. To be honest with you, my fear is that I will never see a penny of it." The SkyCity syndicated mortgage is one of dozens of loans that have been taken over by a court-ordered trustee. The trustee told CBC News in April it will review the status of all of the Fortress projects but has yet to let investors know if they will be getting their money back. Skelhorne, a 50-year-old business manager from Halifax, says she has downscaled her retirement dreams and ramped up her monthly contributions to try to make up the money. "I'm devastated because you know I've always planned my retirement based on that money that I had. And now instead of thinking of retiring at 60 I know will not be able to retire until I'm 65." 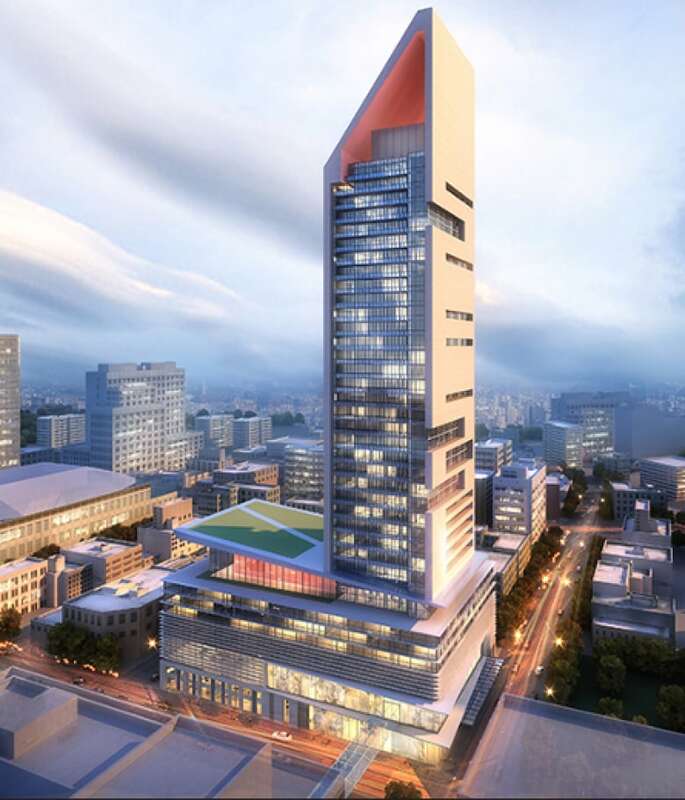 SkyCity is one of four Fortress Real Development projects named in the RCMP search warrant application. Collier Centre in Barrie, Ont., Harmony Village Sheppard in Toronto and Crates Landing in Keswick, Ont. are also named. "These projects contained representations made to investors involving inflated current "as is" property values," alleged Const. Martin Williamson of the RCMP's Integrated Market Enforcement Team. "Property valuations for Fortress Real Capital syndicated mortgages were misrepresented to investors," Williamson alleged. Property values given to investors are one of the key aspects of the alleged fraud the RCMP believes occurred from 2012 to 2017. RCMP investigators believe the alleged inflated property values meant that loan-to-property values exceeded 100 per cent. "A loan-to-value ratio over 100 per cent would indicate that the investment would not be RRSP eligible, contrary to information provided to investors," alleged Williamson. Williamson alleged an "inflated property value" significantly impacts the actual safety of the investment because the security of the investment is tied to the underlying value of the land. The search warrant document describes an unidentified investor who put $100,000 into SkyCity in Winnipeg in 2015. Investigators believe the value of the land where the 45-story condo project was set to rise "was falsely represented." Documents list the plot of land as having an "as is" value in 2013 of $18 million. "Investigators believe the current "as is" value of the property in 2013 was between approximately $4,400,000.00 and $11,000,000.00," wrote Williamson. "The investments that investigators have examined are not RRSP-eligible and could be subject to adverse taxation by the Canadian Revenue Agency," alleged Williamson. The RCMP believes the values of land given to investors have created "a risk of detriment" to the financial and real estate markets. "As a result of the inflated current as-is land valuations, investigators believe that there are currently millions of investors dollars, including retirement savings, where the amount of mortgages on the property exceed the current value of the property. This is contrary to what was told to investors." The search warrant document does not detail the number of investors involved, but a recent court filing by the regulator of syndicated mortgages states more than $700 million has been invested by approximately 11,000 individuals. "Fortress is cooperating with the current law enforcement inquiries regarding syndicate mortgages and has nothing to hide. Fortress believes that it will be vindicated," wrote Fortress spokesperson Scott Davidson of Bayfield Strategy in an emailed statement. "We rely on mortgage brokers and agents to provide accurate, reliable and regulatory compliant information that the projects and the lenders can rely upon. This includes market studies and reports on sales trends, appraisals and valuations of land, and advice from experts.," wrote Davidson. Lead mortgage broker BDMC's court-appointed trustee said it has no comment at this time but said it will co-operate with the authorities in a letter to investors from April. FDS Broker Services did not respond to request for comment. In April it told investors "no charges have been laid against FDS Broker Services Inc., its directors or any current staff. We are fully cooperating with this investigation." The fraud investigation, which began in October 2016, was dubbed project Odynasty by investigators from the RCMP's Integrated Market Enforcement Team (IMET). These RCMP-led teams respond swiftly to major capital markets fraud anywhere in Canada, according to the Public Safety Canada website. This investigators on Project Odynasty include a team commander, a primary investigator, two intelligence analysts plus several other officers and civilians. They have gathered information through surveillance, undercover work and witness interviews. The search warrant document states that some of the Fortress syndicated mortgage investors are receiving returns on their investments and developers are using the funds for their projects. In its statement to CBC, Fortress pointed to project exits in which investors were repaid their principal. "Fortress has participated in the successful exit of 30 projects and the completion of almost two million square feet of new residential and commercial real estate with another four million square feet currently under construction. We believe we have followed all rules, regulations and laws in doing so," wrote Davidson. "We look forward to moving all projects ahead." ​​Got a tip for the CBC News I-Team? Email iteam@cbc.ca or call the confidential tip line at 204-788-3744.